Hallmark Keepsake Ornament Collection. Pooh and Piglet are waiting to serve milk and cookies to Santa when he stops by. Most other Hallmark Winnie the Pooh ornaments also available. 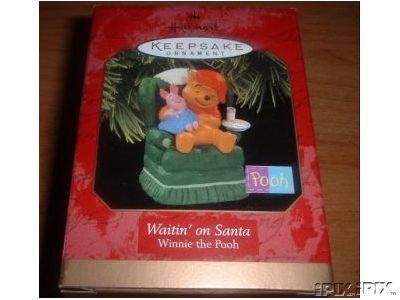 Items Similar To "WINNIE the POOH: Waitin on Santa Hallmark 1997 Ornament"